Do you own a motorcycle? Are you looking to buy one? If you do not have an insurance policy, visit Sharp Insurance and fill out a free Grande Prairie motorcycle insurance quote today. Motorcycle theft is unfortunately far too common. It does not take much for yours to be stolen—a simple mistake and your motorcycle could be gone forever. At Sharp Insurance, we value our customers. 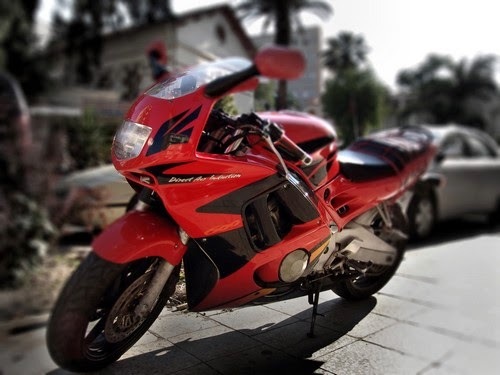 This is why we have compiled a short list detailing how to prevent motorcycle theft. If you are a motorcycle driver, we encourage you to keep reading—even if only to refresh your memory. Hide your bike. If thieves can't see your motorcycle, then they won't steal it. Simple as that. Never leave your bike unattended in potentially unsafe places. Choose your parking lots wisely and ensure that they are well guarded. Cover your motorcycle. You might be surprised at how well this deters thieves. Lock it up. Use your motorcycle's steering lock system, but also buy new ones. Don't hesitate to go wild in that regard—the more locks there are, the harder to steal your bike will become. Chain it up. If you are in town and can't find a secured parking lot fast enough, then you might consider chaining your bike to a fixed object. Think lamp posts and rails. Put an alarm on it. The louder, the better. Nothing scares thieves away like the sound of an alarm. Finally, if you have not done so, get a motorcycle insurance policy. If anything happens to your motorcycle, you will at least be incredibly thankful for that.